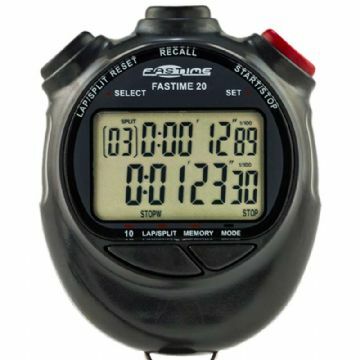 Stopwatches able to store lap or split times in memory for later recall. 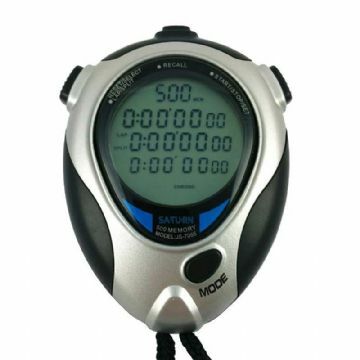 Memory size varies between models and allows some stopwatches to offer professional timing functions. 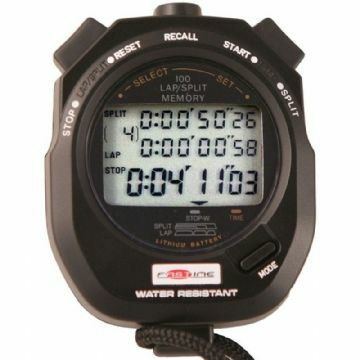 Memory stopwatches are great for timing sports such as athletics, cycling, swimming and motor racing. 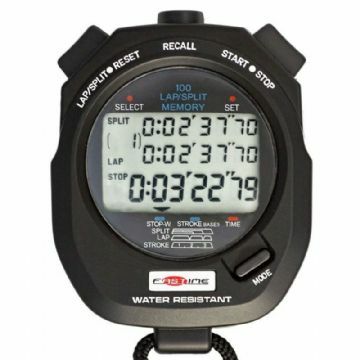 3 row display stopwatch with a 100 lap memory. 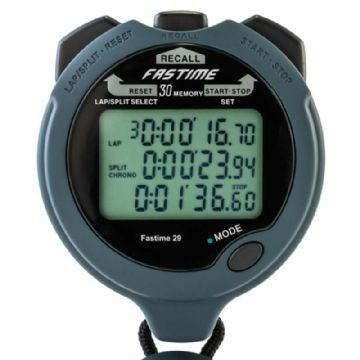 The Fastime 21 boasts a repeating countdown timer, pacer mode and time/date/alarm functionality, packed into a water resistant case. Professional timing to 1/1000th of second. 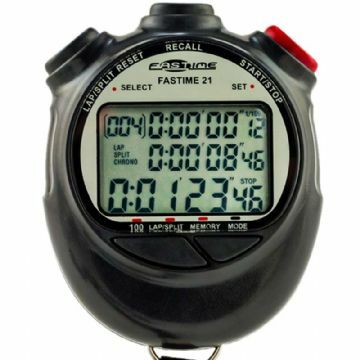 Repeating countdown/interval timer. 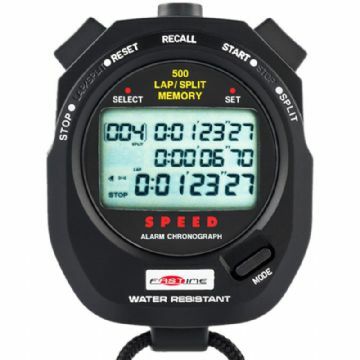 100 lap memory. 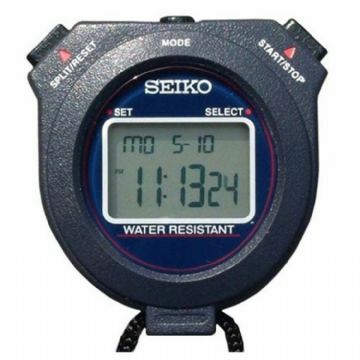 Dedicated football, basketball and boxing/interval timers. Pacer. Vibrate function. 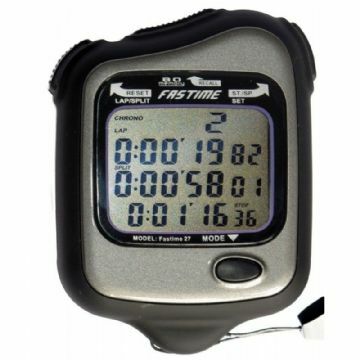 The Fastime 7 is a professional 100 lap memory stopwatch with a 3 line display. 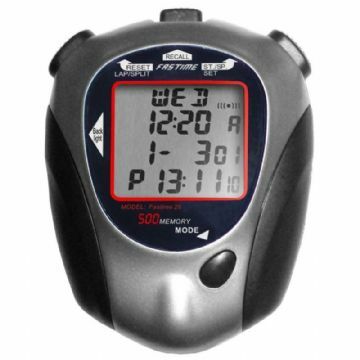 Features a repeating countdown/up timer, pacer (5-240 paces), time/date, alarm. Water and shock resistant case. 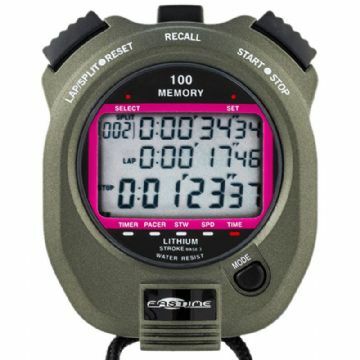 The Fastime 10 is an easy to use stopwatch with a 100 lap memory. Simple, one button data capture facility. Triple display shows cumulative, last split and running time. Water and shock resistant case. Time and date functions.